Benjamin is learning to read and, as you can imagine, this is thrilling for me! 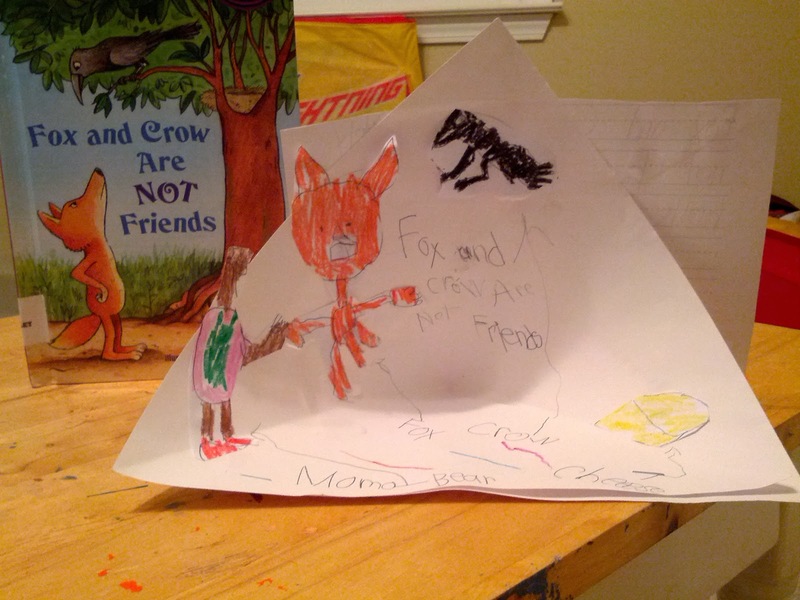 Back in February he picked Fox and Crow are Not Friends for a kindergarten book report. I'd been wanting to get my hands on this book for some time when I finally found it at the library. Why was I so eager for it? I fell in love with Melissa Wiley's blog after being on the Cybils 2011 graphic novels panel with her. She knows her stuff when it comes to graphic novels and when it comes to writing for children. I take her reading recommendations regularly*. And let me say: we will definitely be looking for her other books! Fox and Crow are Not Friends retells Aesop's fable about Fox and Crow, wherein Crow has a piece of cheese and fox covets it, so he flatters Crow into singing. Crow opens his beak to sing, drops the cheese, and Fox gobbles it up. Lesson learned: beware of flattery. But the retelling is only the first chapter of Fox and Crow are Not Friends. In chapter two, Crow gets his revenge. In chapter three, Fox thinks it's payback time -- but the surprise ending is awesome. Last night I told Benjamin I was going to review it on the blog today, and asked him if he had anything to say about it. "I think it's funny when [total spoiler of the surprise ending]!" Benjamin was grinning. "Maybe we shouldn't say that, because it's a surprise." I said. "Oh, yeah. . . . So. I know what you should do. You should get the book and take a picture of it--"
"Then put the picture on your blog so that people can really find the book and read it. And tell them they have to read the book and find out the ending!" 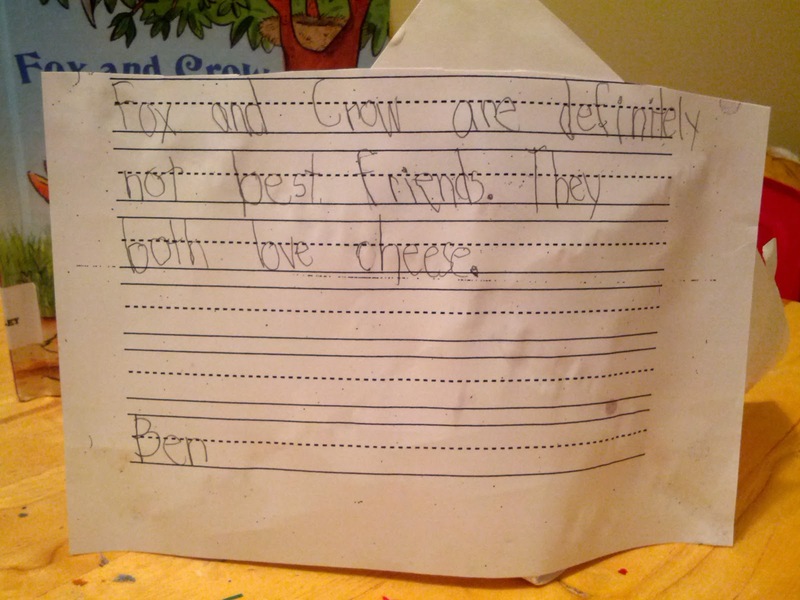 "Fox and Crow are definitely not best friends. They both love cheese." L to R: Mama Bear, Fox, Crow, Cheese. Two things (other than my own eyes) recommend Sebastian Braun's illustrations to me. 1. Last night Benjamin asked, "Who was the illustrator again?" Simply put, It's a good book. If you've ever tried to write an easy reader -- heck, if you've ever read your child's homework with them! -- you know that crafting a good story with limited vocabulary takes talent. And with limited vocabulary, often the illustrations must convey essentials of the plot. 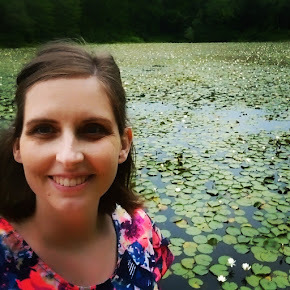 Hats off to Melissa Wiley and Sebastian Braun for this favorite! bonus: I reviewed another adaptation of Aesop's fables, back in 2008.
update: Want to buy it? If you make a purchase after clicking through my affiliate links, I'll earn a small commission. Thanks! Thanks! :D I'll have to share your compliment with Benjamin -- we are always admiring the Z kids' artwork.